The future of Barwon Heads Library is secure after council confirmed it will stay open past its 30 June 2018 deadline. The library was slated for closure, along with libraries at Highton and Chilwell, but a public backlash resulted in council reversing its decision and assured it would remain open until at least June this year. However, the library’s future is now assured. Friends of Barwon Heads Library’s Mandy Bridges said it was great news for the community. “This time last year we were breathing a sigh of relief after a massive effort to save our library from the announced closure,” Ms Bridges told the Voice. 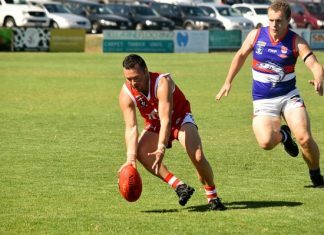 Since the first mention of the proposed closure, the people of Barwon Heads staged a public rally and pressured council to reverse its decision. Ms Bridges said the library has since been supported more than ever with a massive growth in usage, far beyond any other library in the municipality network (GRLC membership increase of approximately 65% since January 2017, an increase in visits of 82% and increase in loans of 35% for 2018. 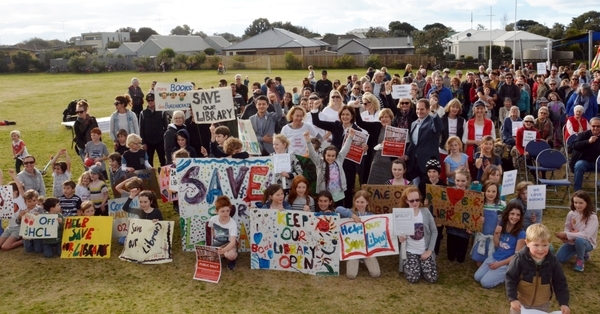 “Keep it up Barwon Heads, let’s make sure our library is loved for many years to come,” Ms Bridges said.